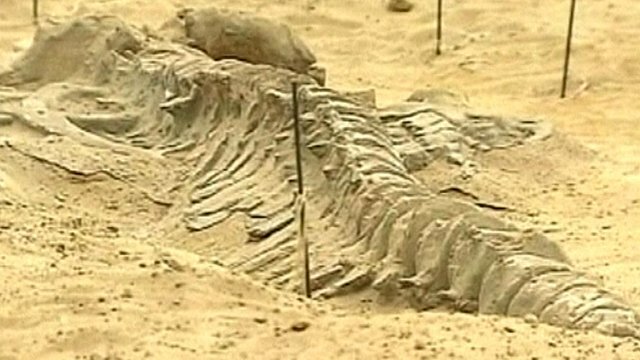 Chile's 'whale graveyard' explained Jump to media player A graveyard of whales found beside the Pan-American Highway in Chile has been said to be one of the most astonishing fossil discoveries of recent years. 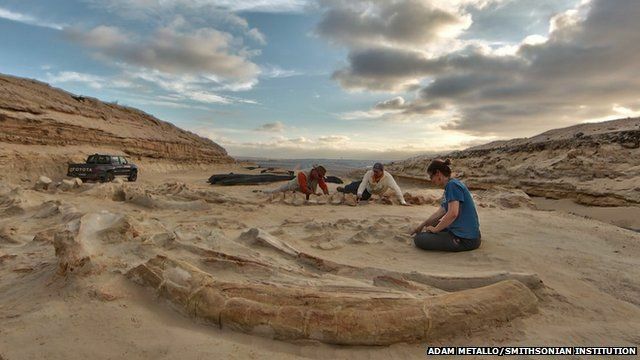 A graveyard of whales found beside the Pan-American Highway in Chile has been said to be one of the most astonishing fossil discoveries of recent years. Now scientists say they can explain how the animals came to be preserved in one location more than five million years ago. The BBC's science correspondent Jonathan Amos reports.